Last week, “Grey’s Anatomy” introduced a plotline that reflects the year in Hollywood: Once-powerful, now-deceased surgeon Harper Avery (Chelcie Ross) sexually assaulted several women throughout his career and paid them off to cover it up. This week, the doctors of Grey Sloan Memorial Hospital — namely, Meredith (Ellen Pompeo), Jackson (Jesse Williams) and Catherine (Debbie Allen) — say #TimesUp on sexual violence in medicine, too. At the end of the previous episode, several women who had originally signed nondisclosure agreements came forward and brought their accusations to public attention via the press. In response, Catherine hires a publicist — but not because she wants to discredit the women; she just wants to preserve the legacy she has created with the Harper Avery Foundation. 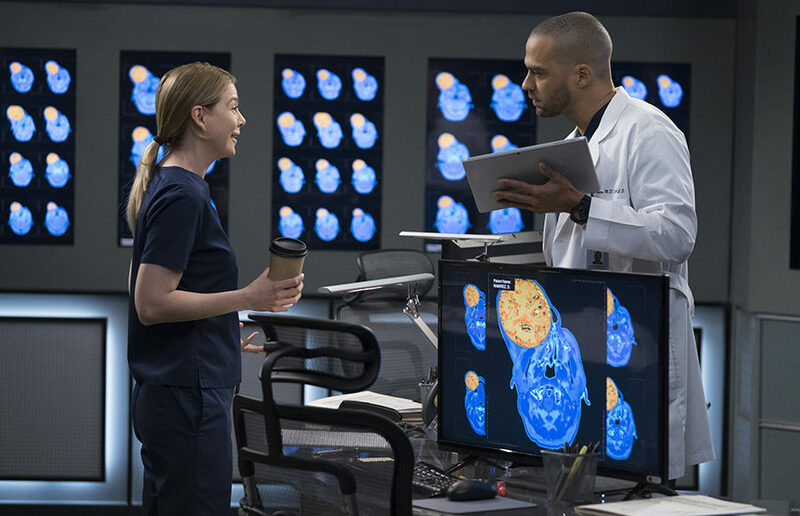 When Meredith learns that the patient, Diego (Luis Fernando Cordova), has flown in from Venezuela to have a growing facial tumor removed, she changes her tune. No sooner does Meredith jump on board than she is told that the nonprofit that had planned to pay for the surgery has dropped out because of the Avery revelations. So, Meredith and Jackson offer to do the surgery pro bono. 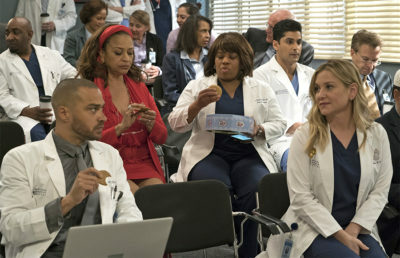 Meanwhile, Miranda (Chandra Wilson) cuts the surgical competition short, saying it would look awful for the hospital to continue with a contest funded (even anonymously) by a member of the Avery family, Jackson — especially because Jackson entered into the competition as well. When word gets around about his role in funding the contest, Jackson’s own friends and colleagues begin accusing him of “rigging” the competition. In response, April (Sarah Drew) throws a hissy fit. She thinks Richard (James Pickens Jr.) was trying to sabotage her by having her be the competition’s judge. In the greater context, however, April just sounds whiny and self-involved — which is very out of sync with the self-reflective side of April that we saw recently. 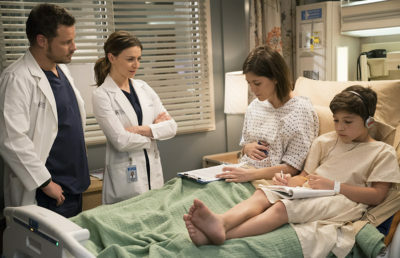 Across the hospital, Owen (Kevin McKidd) brings his foster son Leo in for a checkup, where he meets Leo’s 15-year-old mother, Betty (Peyton Kennedy). When Amelia (Caterina Scorsone) notices a few familiar ticks in Betty’s behavior, she pulls her aside and learns that, after having reconstructive ACL surgery to deal with a soccer injury, the young girl became addicted to painkillers. Two years later, she’s had a baby and is homeless and using heroin. Amelia, herself a recovering addict, offers to let Betty move in with her and to help her recover. Owen’s plot has been rather uninteresting after his sister left earlier in the season, apart from when Teddy (Kim Raver) sent him packing — but even then, she was the more interesting character. This foster dad plot is trying to make Owen relevant again, but what it’s actually doing is shining a light on how captivating the women around him are. Jo is unfazed by Olivia’s jabs at Alex, but she’s worried by his change in attitude after they discuss wedding plans. Jo thinks Alex is worried about money, but he’s really worried about his schizophrenic mother — she hasn’t been cashing his checks recently. He’s concerned that his mother has died. 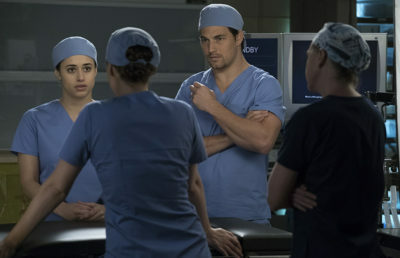 Toward the episode’s end, Meredith and Jackson not only successfully perform facial reconstruction surgery, but they come up with another solution as well. The two had spent the episode attempting to reconcile two seemingly conflictual concerns. Jackson is worried for the Harper Avery Foundation — primarily because Harper’s name is on 72 hospitals, each with hundreds on staff, but also because he’s concerned for his mother’s good name and career. Meredith, meanwhile, wants to prioritize the women who survived Harper’s abuse, to uplift their voices and see justice for them — she recognizes that Harper derailed their lives and careers. The two co-author and give Catherine a statement for the press: We’re renaming the Harper Avery Foundation the Catherine Fox Foundation — and retraining and rehiring all the women who left medicine after being targeted by Harper. The story is a clear reflection of the series’s response to sexual misconduct allegations that have shaken up Hollywood this past year, in which Pompeo and Scorsone both accused director James Toback of sexual misconduct. The creatives behind “Grey’s Anatomy” are skillfully using the Harper Avery plot to call #TimesUp on sexual violence in Hollywood, medicine and beyond. And Meredith’s co-authored statement recognizes that it’s going to take more than a single statement, or a few short episodes, to create justice and long-lasting change. The last episode of season 4, “Nobody Else Is Dying,” aired March 15. Read our recap of the episode here. Sophie-Marie Prime covers television. Contact her at [email protected].